With Napa Cabernet Sauvignon wines costing a small fortune, we assembled a set of wines ranging in price from $40 on the low end (many Napa vintners consider that price-point as 'house wine') to $180. 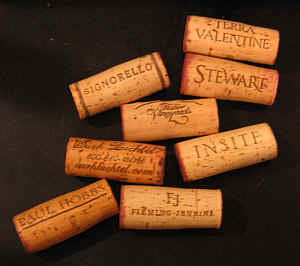 Three wines came primarily from the same vineyard source and two wines are made by the same winemaker. 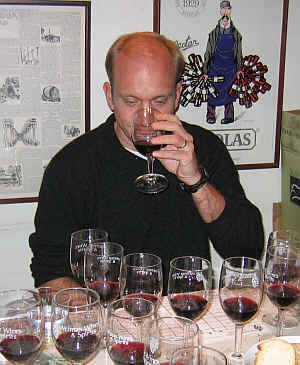 The distribution of scores showed one wine slightly ahead of the group. Three wines finished in a tie for second place, a few points behind the leader. The tie is broken by the greater number of first place votes. 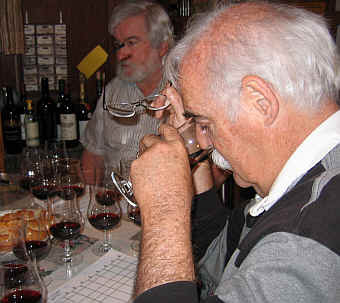 Our last place wine finished well behind the group, despite having praise heaped on it from several critical journals. 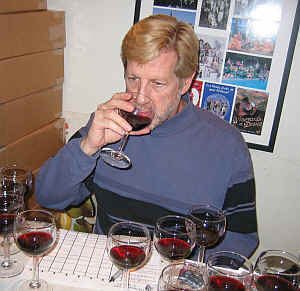 We wondered if the critics are blinded (somewhat) by the perceived fame of a winery or winemaker. Was our bottle 'flawed' in some way? (It was purchased from the designated distributor two months prior to the tasting.) Do the critics truly taste "blind"? Are they impressed by the supposedly fine vineyard source, 'celebrity' winemaker or the huge price? Are they offered samples different from the wines actually sold? Do they simply prefer bigger, more massive wine? How can we "mistake" a wine rated a "94" by The Wine Advocate's Robert Parker and rank this last? 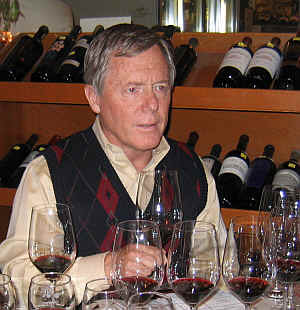 More than half the tasters pegged the ambitiously-priced Paul Hobbs' wine as their last-place wine. Our perspective may be different from some of the critics...we taste the wines "blind" and really don't care if the bottle carries a hefty price tag or has the fingerprints of a famous winemaker. I'm sure you'd hear a similar sentiment from the various critics. Despite the glowing reviews above from the winemaker and a couple of critics, we found this bottle to be of poor quality. 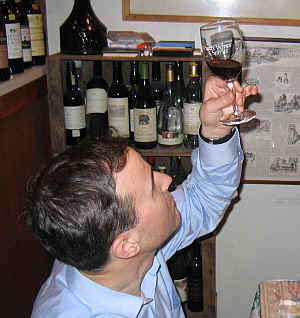 Most tasters commented on the over-ripe aspect of the wine. One taster cracked "It's a lovely bottle of Port," while another described this as having a "vodka-like ferocity. It's rather alcoholic." Someone else found "ethyl acetate" and another person found "bitter tannins and the wine is hollow." A final voice mentioned finding "over-ripe fruit and a spoilage note." On my first pass through the wines I found a ripe raspberry fragrance to this wine, but as I came back to it, the wine took on a more ripe, jammy, raisiny quality. The wine seemed big, fat and a bit flat. It's hardly a grand bottle of Cabernet. We don't know if this sample is representative of the bottling and at $180 a bottle, we will not be finding out. No stars on my three star scale. More than three decades ago, one of the best bottles of Napa Cabernet came from Fred Aves' "Yverdon" vineyard and winery on Spring Mountain. There were two bottlings, Cask 88 being the grand vin. We were interested to see if this wine lived up to that legendary bottle and, sadly, it did not. The first tasters mentioned adjectives such as "sugary, syrupy, floral, jammy and flat." Someone else found "Santa Rosa plums, black tea, star anise and it's less tannic than most." One if its proponents described this as "Extracted but a bit dumb on the nose to start. It's got nice, herbal, sweet fruit and good varietal character. It was rich on the palate." A detractor asked "Where's the fruit? The high tannin level here closes this." Medium ruby red in color, this wine offers nice red fruit fragrances and hints of mint on the nose. I found a light bit of oak to its bouquet. Dry and medium-full bodied on the palate, I found the wine to be a bit hot. It's got good, dark fruit flavors and mildly grippy tannins. Reasonably deep, though. One-and-a-half stars. One taster described Signorello's wine as having "Bright fruit on the nose and lots of 'Napa' character, but I was bothered by a lifesaver candy tone. It's like there's an artificially fruity quality here." Someone else "hated this wine at the start but it got better over the course of the tasting. It's quite tannic." Another panel member found it to be "quite oaky and reliant on the wood. There's sufficient fruit here, though." One taster liked "...the exotic nose and tangerine peel and peach-like tones. There's not enough acidity, though, to carry the fruit along with the high level of tannins." Finishing in the middle of the pack, the Gott wine was described as having "Brettanomyces and leathery fragrances with tobacco and strawberry tones. It's the fullest and fattest wine of the tasting with chocolate, coffee and a sour cherry finish." An old-timer said it "reminded me of old Louis Martini Cabernets with a hint of dust, tar and leathery Brett." Another person found it "quite complex," while a final voice felt this "improved in the glass." With medium ruby color, the initial perfumes were of vanilla with nice woodsy notes and some red fruit tones. It's a pleasant, medium-bodied red wine with some elegance and refinement. Yes, it could be likened to Louis Martini Cabernets from the 1950s through the mid-1970s...it's nicely balanced on the palate and seems to have good length, too. In an era when so many vintners "push the envelope" (as with the Hobbs wine above), it's rather refreshing to see a wine which tries to emphasize finesse. This may do well with a few more years of cellaring. One-and-a-half stars. "Sweet herbal fruit up front," said one taster, "with a slightly grassy note. It's round, a bit tannic and extracted with an exotic aspect to its fruit." A second voice found "violets on the nose with green pepper flavors on the palate." A third critic described this as "Bordelaise in style with some herbaceous and dusty notes and coffeeish tones. It's a really nice, generous Cabernet with a bit of finesse." Medium-deep ruby in color, I found lots of red berry fruit in Fisher's Coach Insignia. There's a hint of cassis and light oak as well. 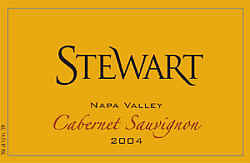 The wine features dark fruit on the palate and it's a medium-full-bodied. I liked the fruit-to-tannin balance here and I felt it's a fairly elegant bottle. Drinkable now and through 2015, or so, I gave this a one-and-a-half star rating. A number of tasters reacted to the tannin in this Surh Luchtel wine. One critic described this as "bitter," while another felt "The tannins hung in there and it's too astringent." "Way too tannic," chimed in another taster. Urging patience was one taster who said "it's a lively wine and there's a lot of flavor here." Someone else felt the wine "needs more fruit for this level of tannin." 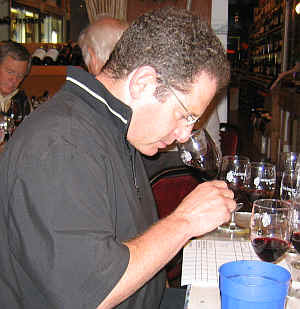 A final voice described the Surh Luchtel Cabernet as "having a lot of dill-like flavors." Medium ruby in color, I was really enchanted by the nose of this wine as it showed a lot of red and black fruits. There's a cedary aspect to the perfume and some brown spice fragrances. It's a medium-bodied Cabernet with nice balance. I didn't find it especially tannic and described it as not being a blockbuster style. I liked the depth and length of the wine as it had a rather long finish. Three to eight years of cellaring potential, I gave this a one-and-a-half star rating. One panel member encountered "a dose of Calvados in this wine as I found it to be really spirity on the nose." Another critic described the Fleming Jenkins wine as "unusual...it's more angular and tasted a bit skinny. There's an odd petroleum character on the nose here." Someone else agreed, saying they, too, "found a whiff of petrol and I marked it down for this." A final taster said it's "bitter and tannic." What others described as petroleum notes, I was characterizing as anise and black fruit. I liked the sweet oak of this wine, too. I'd tasted it on a couple of other occasions and not paid much attention to the wine. In this line-up the wine excelled, showing a charming personality and, for me, a lot of complexity. It's medium-full on the palate with lots of bright, berryish flavors. I found cedary and minty elements here, too. Good length and a nice finish. Good now-2012, or so. Two stars+. Impressive. "There's nice, ripe fruit and a coffee note with hints of licorice and fresh nutmeg. Cola and spearmint tones, too. Mildly bitter." said one panel member. A couple of other tasters didn't think this would cellar well, being rather immediately drinkable. "It's structure is suspect." said one taster. For being the first place wine, there were not many contributors in describing this wine. Interestingly, this is the work of winemaker Paul Hobbs, whose own wine finished dead last. It comes, primarily, from the same grower, Stagecoach Vineyard. The color is deep ruby and the nose is of a classic Napa Cabernet. I found red fruits with some charming, woodsy notes on the nose. It's medium-full bodied and no-where near as over-the-top ripe as Hobb's own wine. The flavors offer lots of dark fruit character and a pleasantly cedary flavor. Mildly tannic, this is nice now and I suspect it will be fine for three to eight more years. One-and-a-half stars.